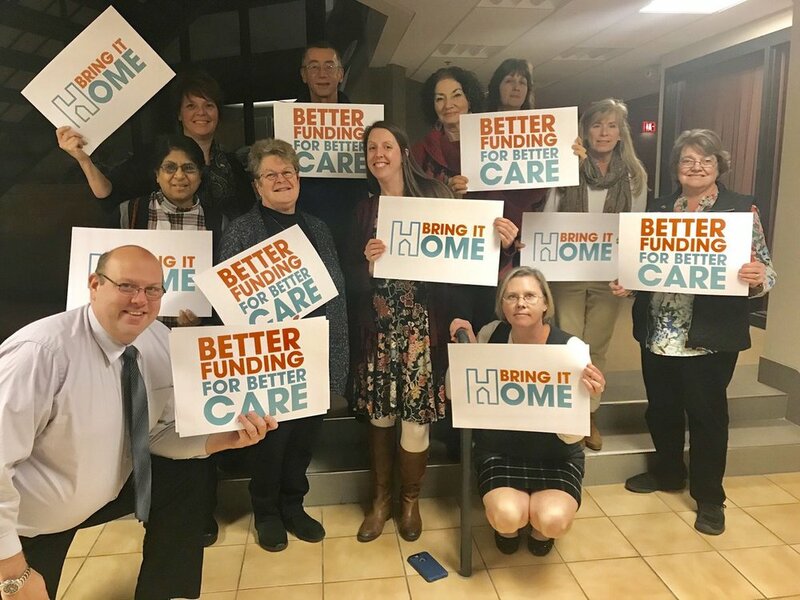 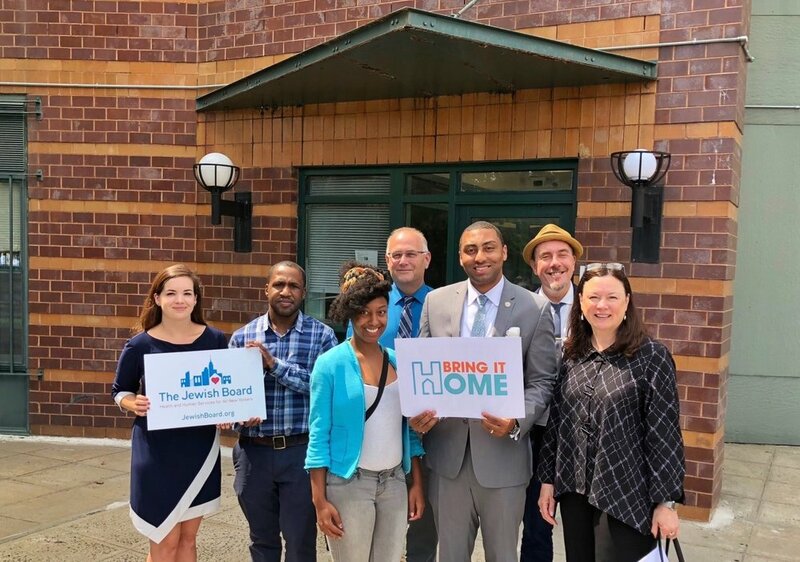 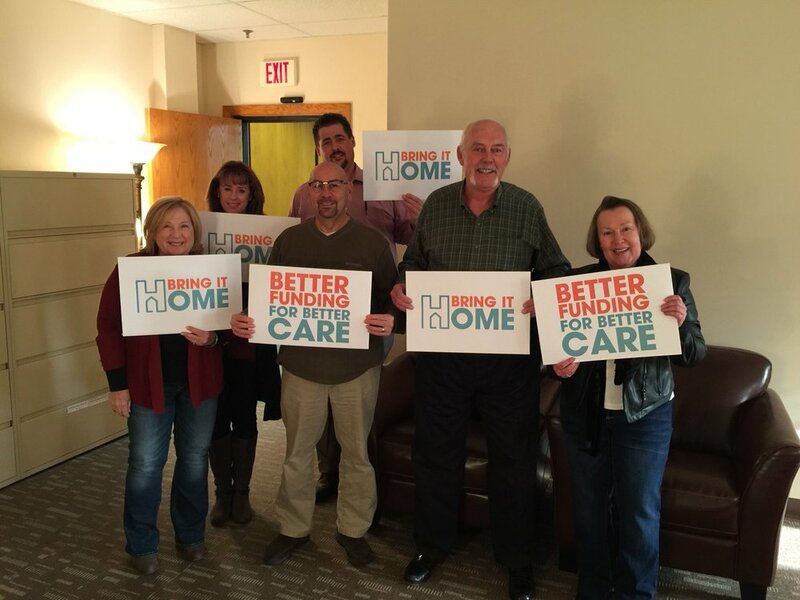 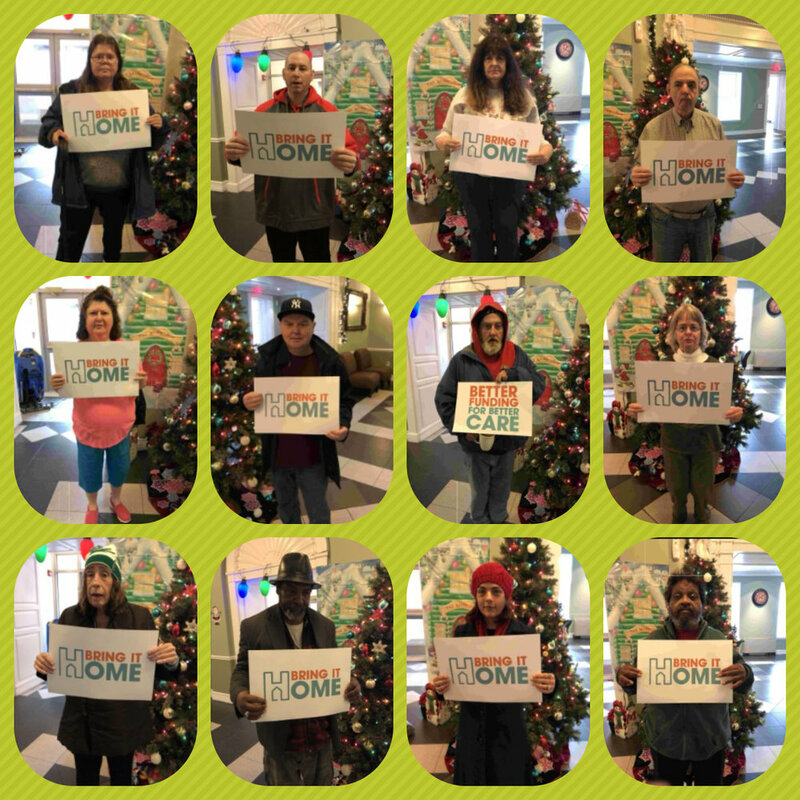 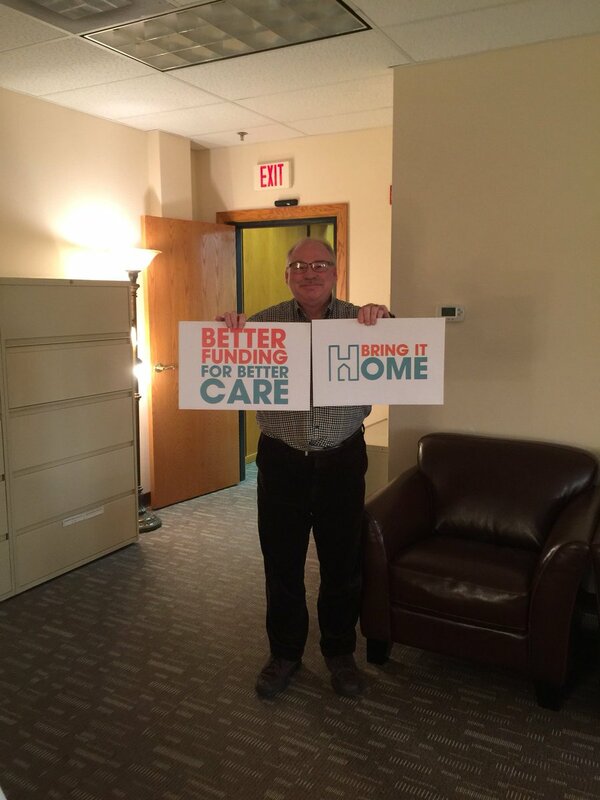 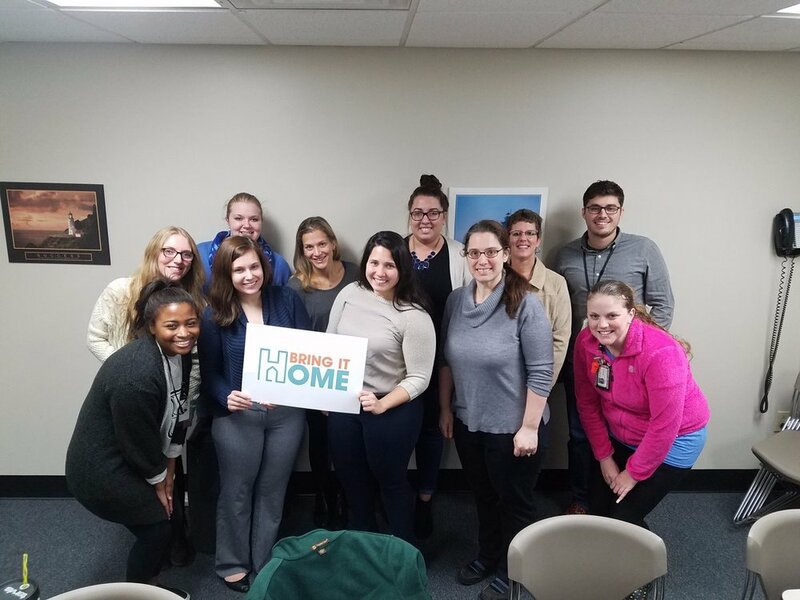 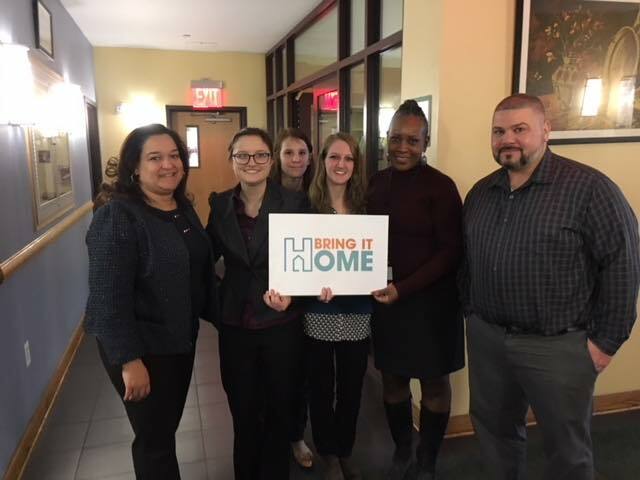 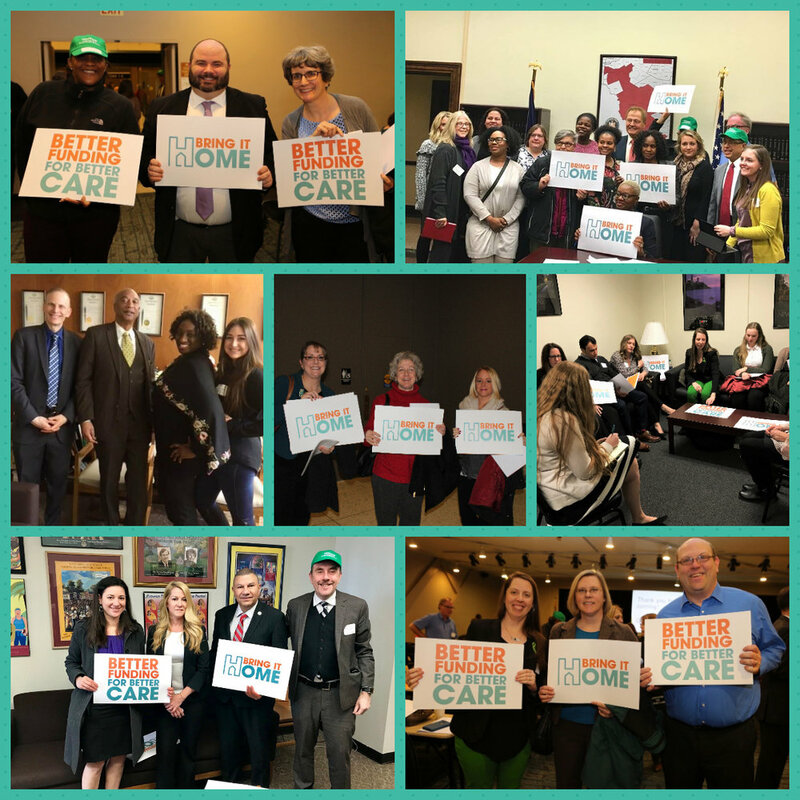 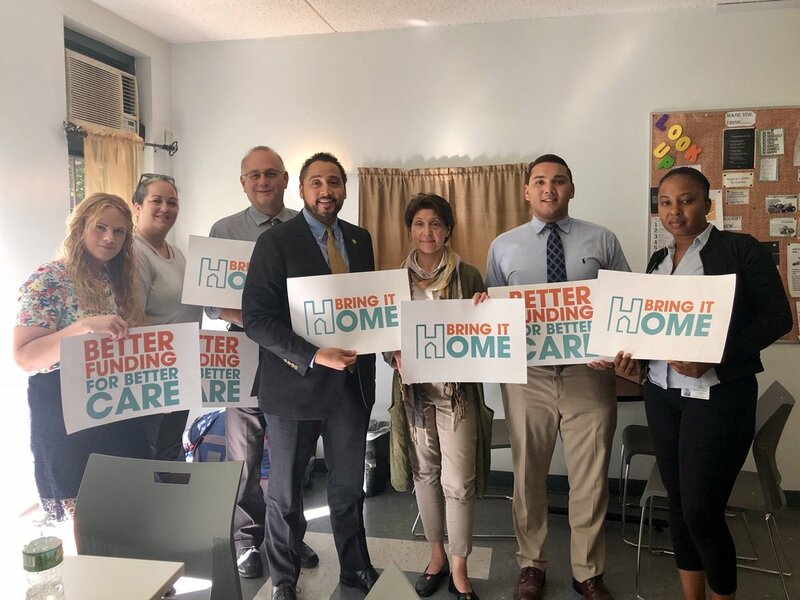 Bring it Home is a coalition of community-based mental health housing providers, mental health advocates, faith leaders, and consumers and their families, urging New York State to adequately fund community-based housing programs for individuals with psychiatric disabilities. 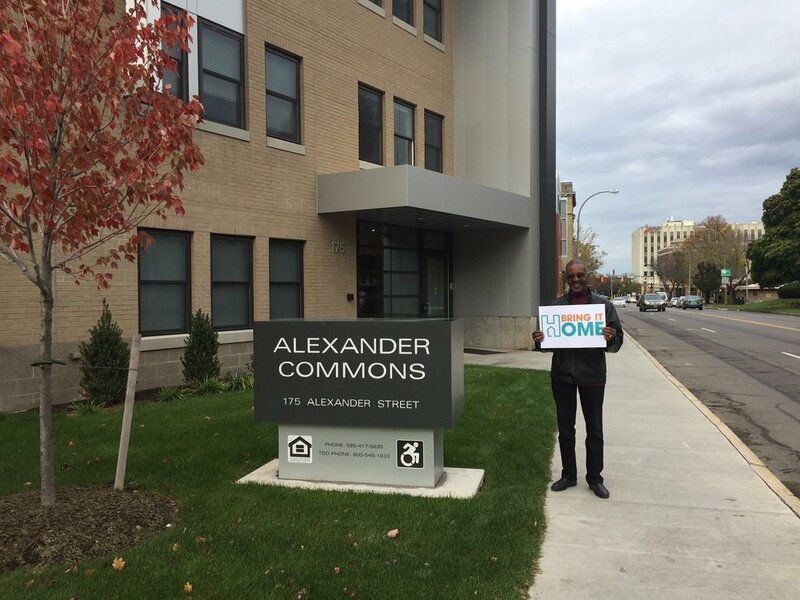 Full recovery and community reintegration depends on stable housing opportunities. 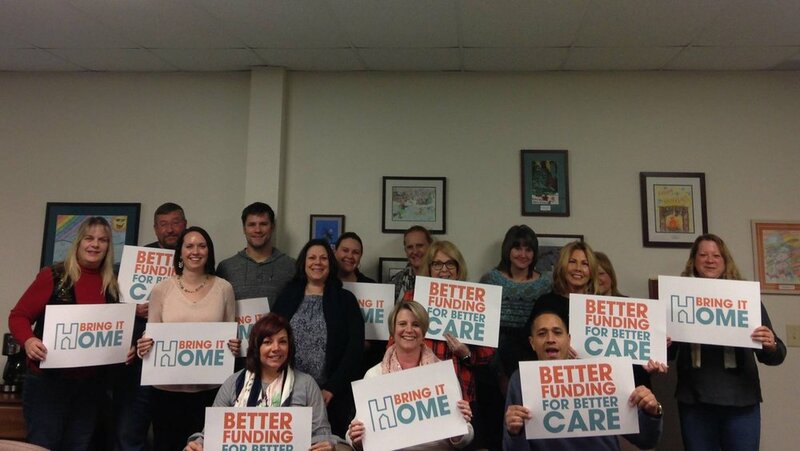 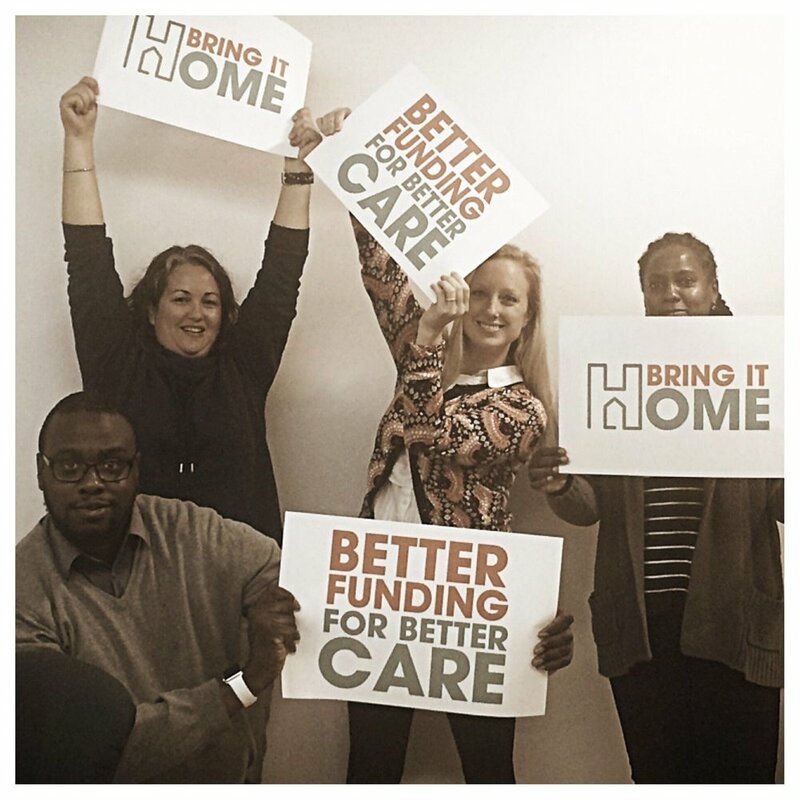 Through education and advocacy, Bring it Home is working to bring better funding for better care to New York. 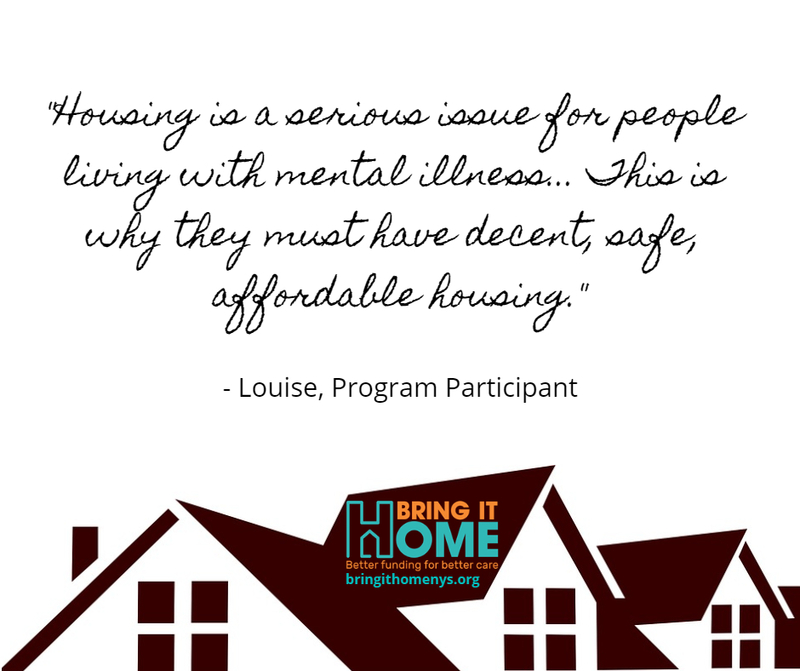 Living in specialized community-based housing serves both the taxpayer and those with serious psychiatric disabilities well. 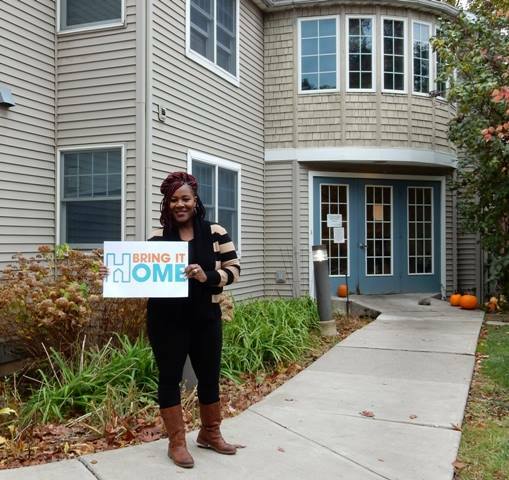 But these housing programs are facing unprecedented fiscal challenges. 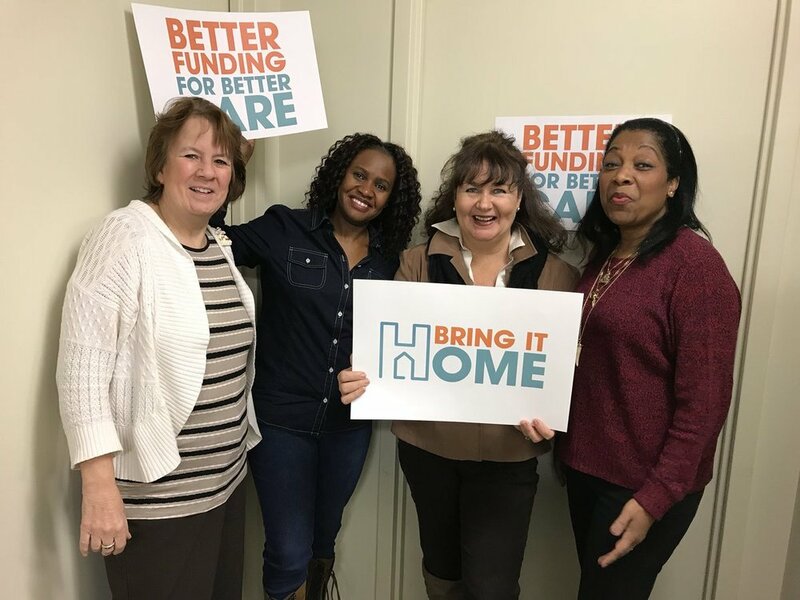 BRING IT HOME’s mission is to raise awareness, get supporters actively involved, and make sure that the 2019 – 2020 New York State budget includes not only adequate funding, but funding allocated towards the right efforts. 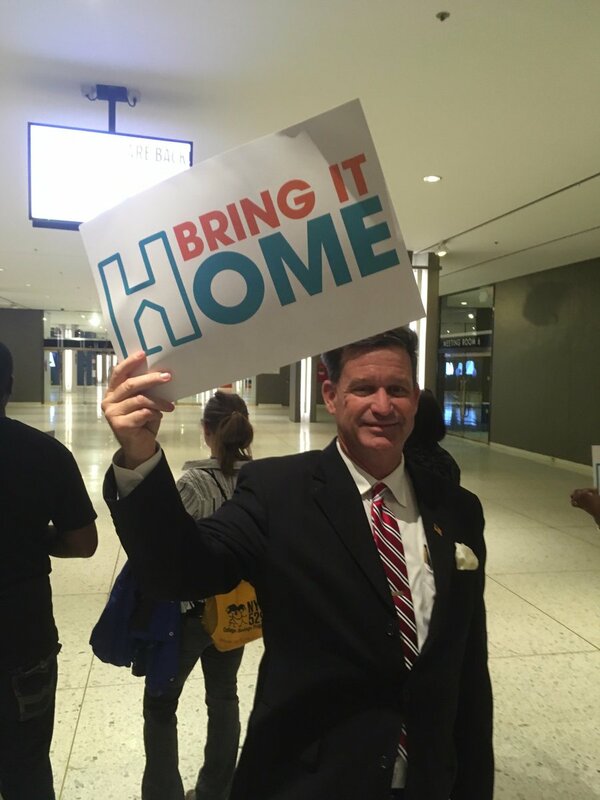 Sign-On to Support Bring It Home! 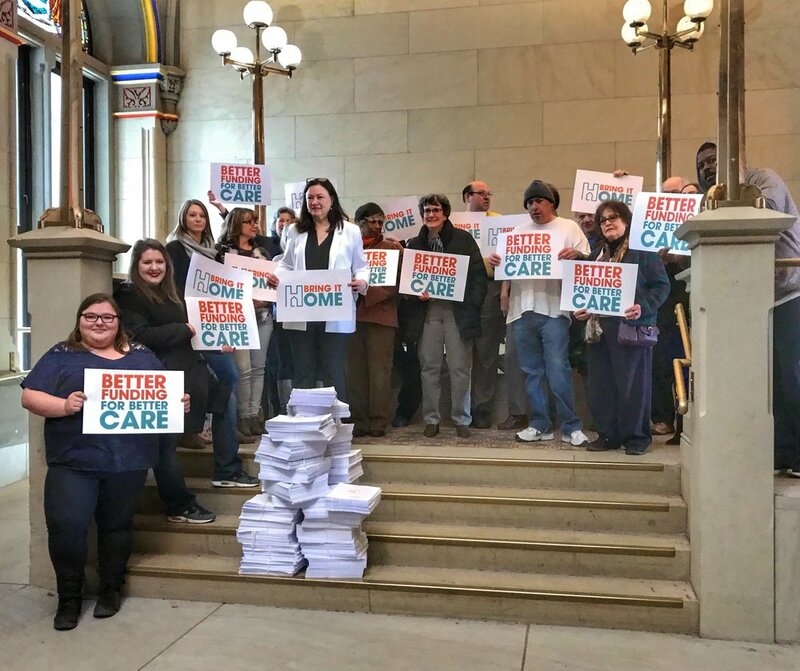 40% - 70% of funding in New York State mental health housing, depending on program type, has been lost to inflation. 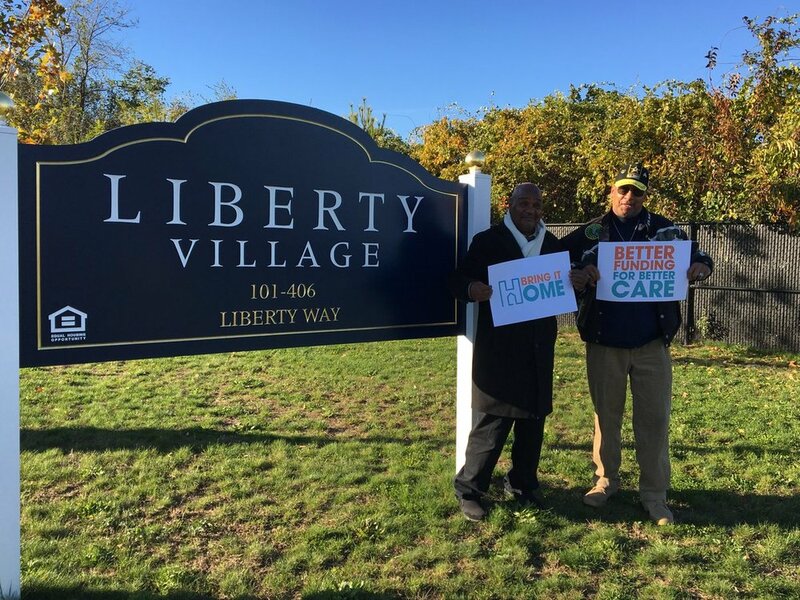 less expensive (depending on housing model) to support community housing vs. state psychiatric institutions, other hospitals, nursing homes, jails and prisons. 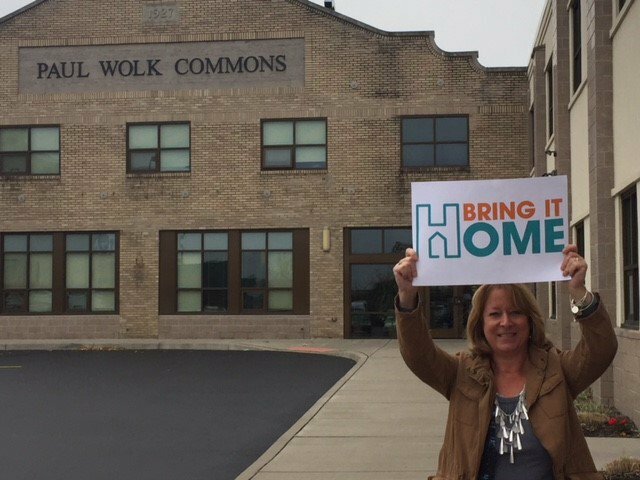 Bring It Home has more than 1,000 organizations, faith leaders and individuals signed on. 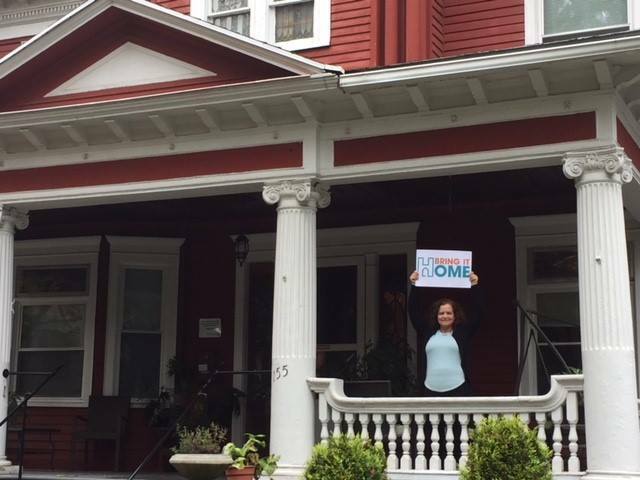 Our goal is to double this in the coming year. 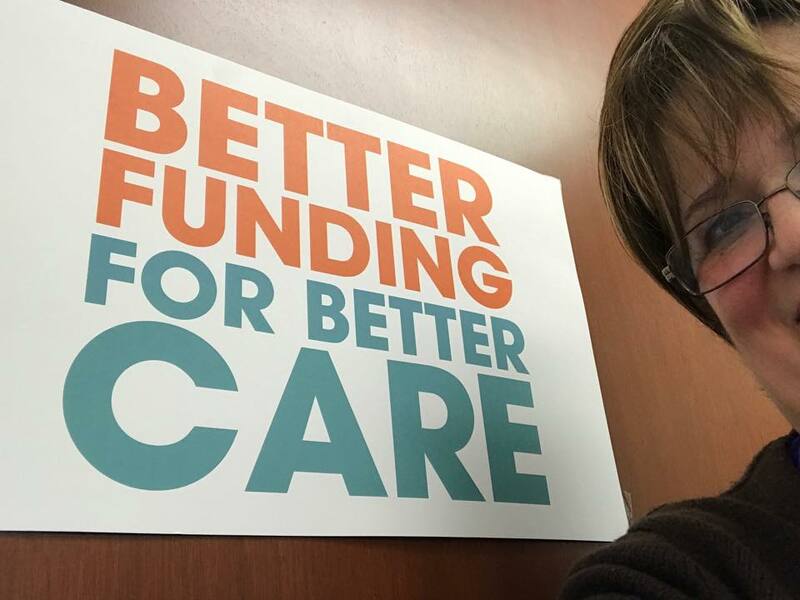 Sign on to the campaign, get involved, write letters, make phone calls, tweet & re-tweet on Twitter, post to Facebook, etc. 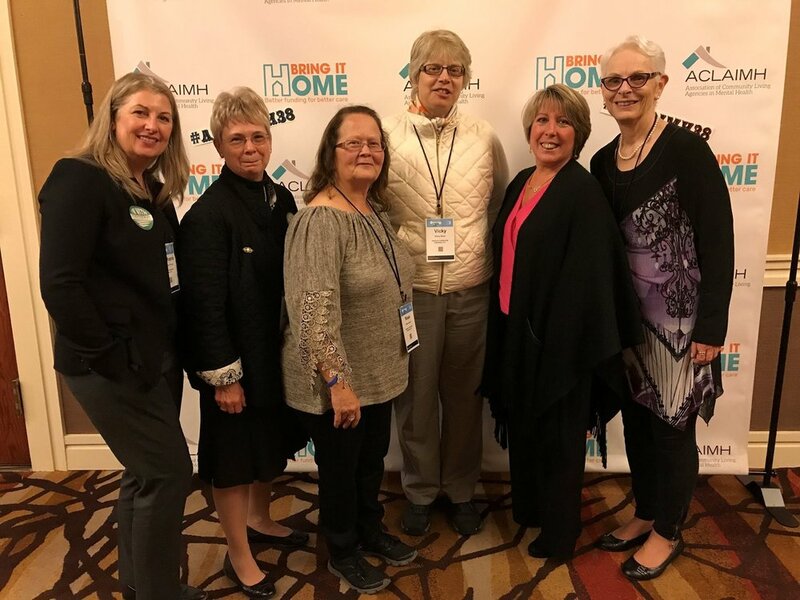 Make sure you bookmark Bring It Home's website to see updated advocacy tools that you will be able to use to help us BRING IT HOME!